Whether you are a retail establishment or an individual seller, we offer you a high level of courtesy, professionalism and high payments. San Francisco for 40 years. 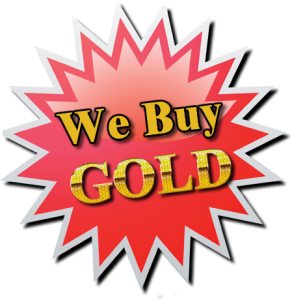 We also take great pride in offering free financial consulting to our customers regarding their gold portfolio. 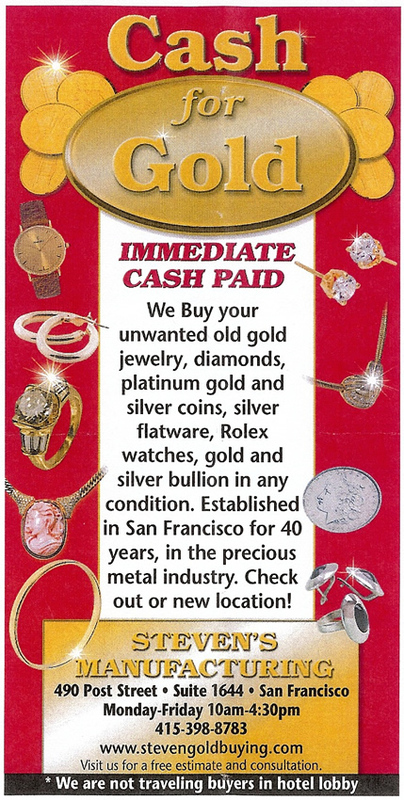 In addition, we are the ONLY gold buyers who are goldsmiths and metallurgist of precious metals in the bay area. We test and weigh your gold right in front of you, then tell you what we are offering. You get paid, in cash, on the spot. Our customers respect us, as we respect them. In fact, we follow the Golden Rule … do unto others as you would have done unto you. It’s not about making a fast buck for us. We hope to build a long term, honest customer relationship — we want you to come back whether selling or purchasing.